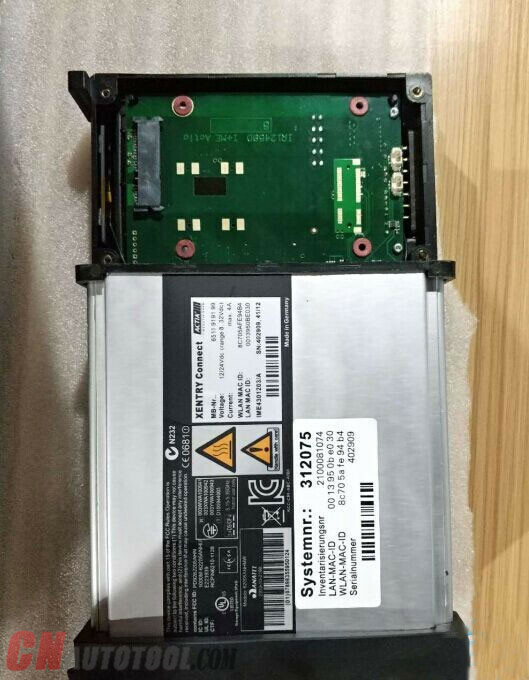 Each Mb star diagnosis DoIP MB STAR C5 host comes with a built-in hard drive (green board in picture below) which contains the data that makes the machine run properly. The hard drive is used to reflash/update C5 firmware as well. And don’t insert the software HDD to Benz diagnostic tool C5 host to replace original hard drive. It will cause damage to the xentry connect c5 multiplexer.